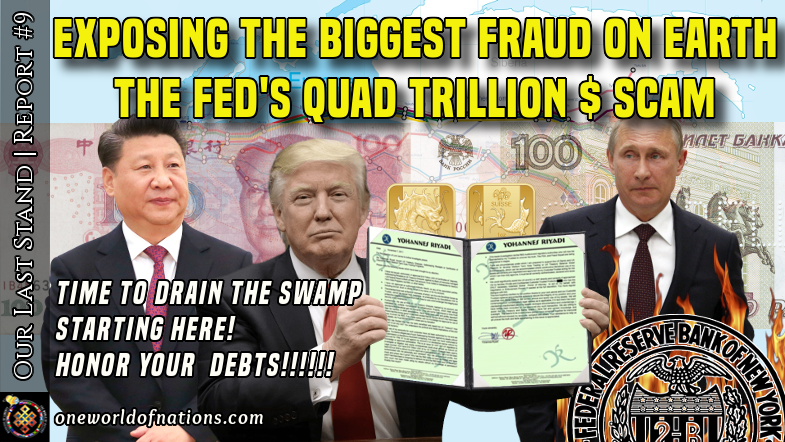 Please take time to read this article with supporting documentation exposing one of the biggest frauds on earth perpetrated by the Federal Reserve banking cartel. I was given permission to publish the full article but SCRIBD is blocking me from accessing the supporting documentation. Because of this I am linking to the full report until I gain access to embedded Scribd html code. Please visit http://www.oneworldofnations.com/2018/01/our-last-stand-report-9-exposing-biggest-fraud-on-earth.html for the full report. Below is a snippet for your review.